About BioArt Theatre Laboratories, Inc. - BioArt Theatre Laboratories, Inc.
About BioArt Theatre Laboratories, Inc. Founded in 1988 by Madeleine Barchevska, BioArt Theatre Laboratories, Inc. and its health-through-communication products, were built on research that incorporates both science and art. Initially created for purposes of enhancing stage performance, we later broadened our scope to train and develop business leaders, legal, medical and IT professionals, classroom teachers, as well as experienced actors in on-going “stretching” for the stage. In the years since its founding, Madeleine Barchevska has received recognition from the National Endowment for the Arts and the French Ministry of Culture for her work in cultivating human presence and communicative capacity. Her teaching approach and philosophy, embodied in BioArt, have had a foundational impact in the fields of Applied Theatre and Theatre and Neuroscience. BioArt Theatre Laboratories is a research affiliate of New York University, The University of Paris VIII, The International Theatre Institute, and Maison des Sciences de l’Homme, Paris Nord. To date, over 2000 students and clients from the United States and EMEA have participated in BioArt training. Recent discoveries about perception in the life sciences have allowed us to expand our reach to all communicating professions, especially to high-performance professionals in large urban areas. Founder, Program Director: BioArt Theatre Laboratories, Inc.
An international coach with formidable experience, she applies her knowledge as an international business culture and language coach to her expertise as a theatre director, performing artist, and published original thinker. She teaches her approach to top management and professionals who can attest to rapid results and graceful, immediate implementation. In today’s urban centers, BioArt is a revolutionary approach to awareness training which restores perceptual sequencing, promotes neurological health, stellar performance, and clarified, high impact communication skills. Madeleine Barchevska is a recognized practitioner in the new field of Applied Theatre and her approach to communications training, arts training, experiential learning and behavioral aesthetic pedagogy is available to all interested professionals. Jean-Marie Pradier, Ph.D., Emeritus University of Paris VIII; Maison des Sciences de L’Homme, Paris Nord, Ethnoscenology. 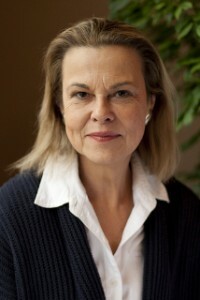 Susana Bloch Arendt, Ph.D., Santiago, Chile, Neuroscience. Lourdes Arispe, Ph.D., University of Mexico, Anthropology. Susan Griffin, Guggenheim and MacArthur recipient, shortlisted for the Pulitzer prize, US Culture /Philosophy. Presentation. Introduction to BioArt, University of Bologna (2007), Conference on Theatre and Neuroscience, and subsequent publication of an article on her approach as the first practitioner: Culture Teatrali 16. Presentation, ‘Acting for non-actors’, Maison des Sciences de l’Homme/Paris Nord (2006). Inaugural Membership: International Center of Ethnoscenology (UNESCO) Paris, for the study of the anthropological and biological foundations of organized human performing behaviors and practices (1995). Permanent membership: Groupe de Recherche sur les Comportements Humains Spectaculaires Organisés of the University of Paris VIII for an interdisciplinary approach to teaching behavioral aesthetics (1995). Teaching and research project / France, funded by the French Consulate, New York. Official Invitee. (1993). Grant for Research and Program Development from the Arkandor Foundation, Canada, for work in Ljubljana, Slovenia: war trauma in civilian populations. (1993). Permanent membership: Laboratoire Interdisciplinaire des Pratiques Spectaculaires, University of Paris VIII. (1991). NFP #13 – 3509783 BioArt Theatre Laboratories, Inc. founded in New York. All contributions are fully tax-deductible in the US. (since 1988).